Situated in the eastern Himalayan range, state capital Gangtok combines a modern, resort town style with ancient spiritual beliefs and an impressive natural heritage. Gangtok is known for nature, historic sites, zoos & aquariums, wildlife, and casinos. 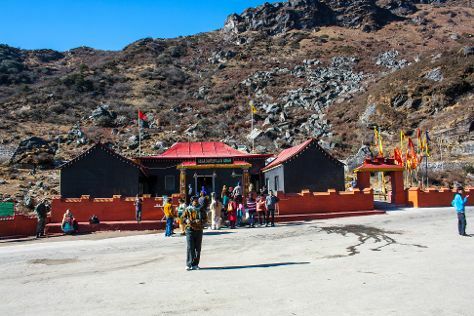 Your plan includes some of its best attractions: make a trip to Baba Harbhajan Singh Mandir, take a stroll through MG Marg, explore the activities along Tsongmo Lake, and take some stellar pictures from Ganesh Tok View Point. To see more things to do, photos, where to stay, and more tourist information, read our Gangtok road trip planner. Finish your sightseeing early on the 11th (Sun) to allow enough time to travel back home.